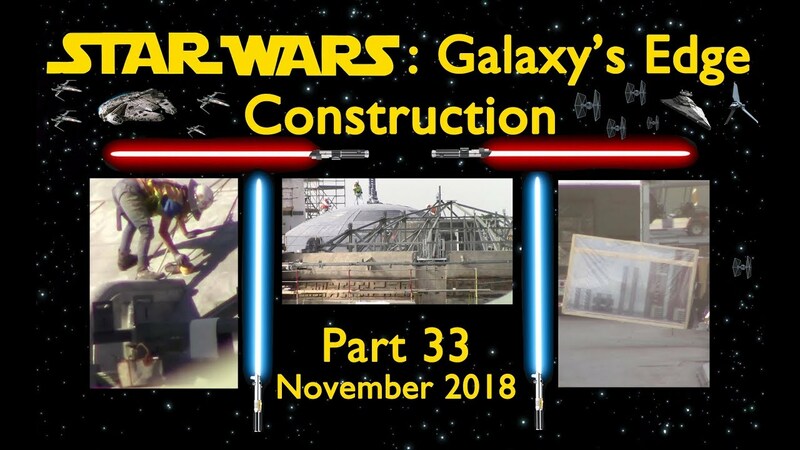 The latest update from Yensid 55 documenting the SWGE construction progress for November 2018. I know I've said if before many times but Mark and Megan do a fantastic job producing these videos. This one includes some great early morning footage of the construction site taken from the M&F parking structure. Interesting to see the silhouette of the spires as the sun rises.The incredible amount of detail Disney is putting into SWGE is simply amazing! The anticipation just keep growing and growing. 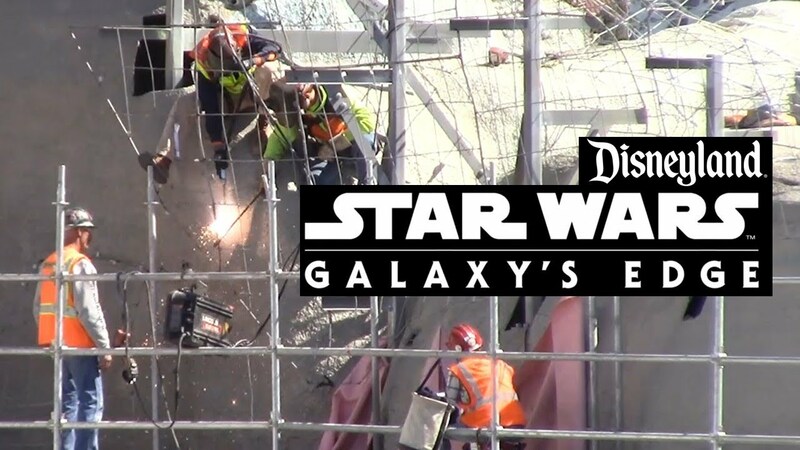 This video covers the development of Star Wars: Galaxy's Edge (aka - Star Wars Land) at Disneyland during November 2018. Last edited by Hammer; 11-26-2018, 07:09 AM. A new video from Yensid 55 showing the SWGE construction progress for December 2018. It's interesting seeing the techniques used to create the texture and detailing on the spires. I really enjoy how Mark and Megan show the construction from so many different points of view in and around the park. 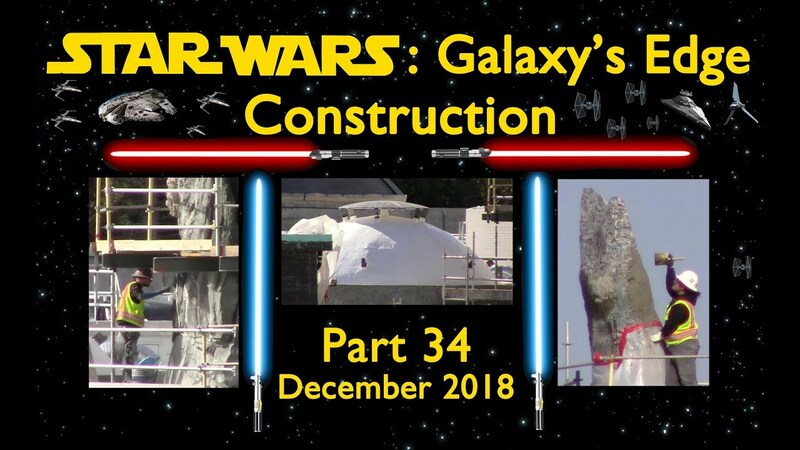 This video covers the development of Star Wars: Galaxy's Edge (aka - Star Wars Land) at Disneyland during December 2018. So, I was up at Disneyland again back at the beginning of October and took more shots of the Star Wars Galaxy's Edge construction from the parking structure, the top of the Mark Twain Riverboat, in front of the Hungry Bear Restaurant, and most difficultly, the top of the second lift on Big Thunder Mountain. This time I used my brand new Canon EOS Rebel T6 camera and a 250 mm zoom lens. The HQ pics this camera takes don't seem to upload to this site, so here is the link to my SmugMug gallery of the shots. I'll be heading up there again in a couple of weeks, and I'll have a 300 mm lens to use if I need it, so Ill see how their coming along. 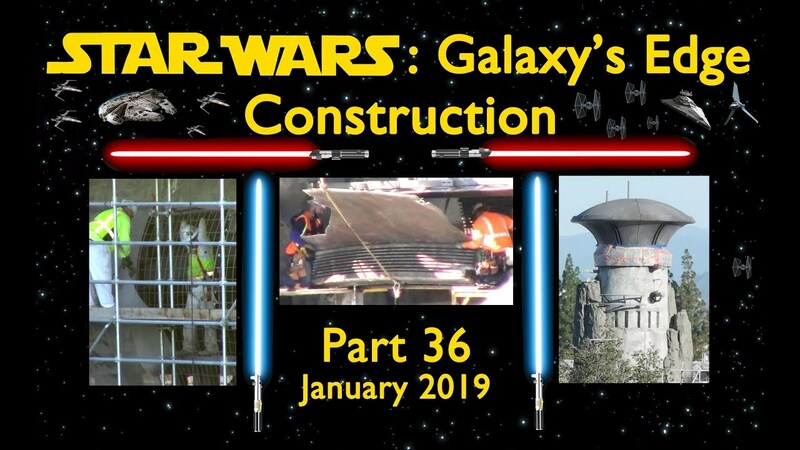 The latest installment from Yensid 55 documenting the SWGE construction progress for January 2019. A lot of amazing colors and detail continue to be added to the spires and rock work. This is going to be so much fun to visit in just a few months now and Mark and Megan's updates really add to the excitement! 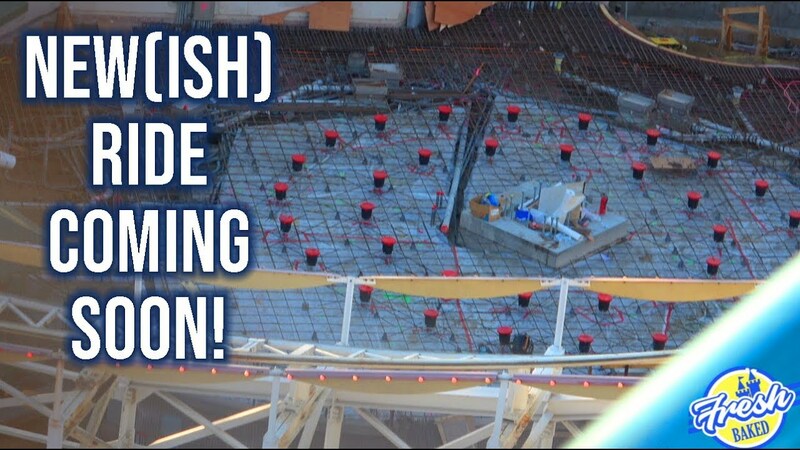 The videos from Yensid 55 are becoming more frequent as the SWGE construction is wrapping up in the next few months. This is showing the progress for the first few days of February 2019. More elements are being added at a rapid pace and Mark and Megan provide more great analysis as usual. 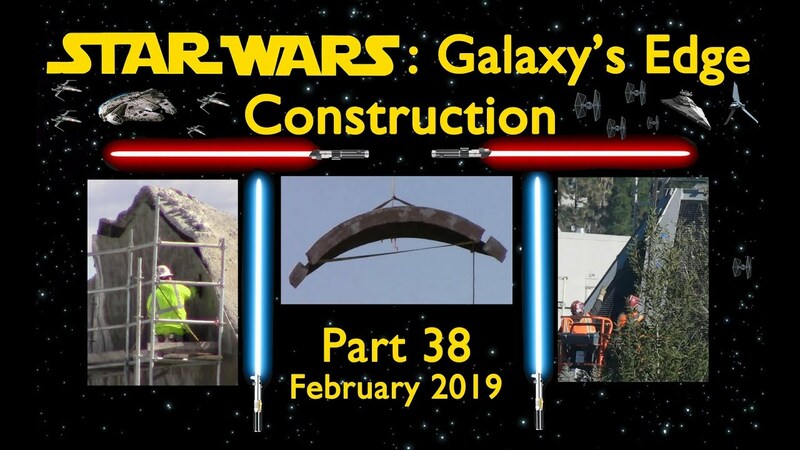 The latest video from Yensid 55 with SWGE construction updates for the remainder of February 2019. The level of detail continues to amaze me. The way Mark provides views of the construction from so many different perspectives in and around the park as well as referring to the SWGE model really helps understanding what is going on...so much fun to watch! Thanks for the update, Hammer. I keep watching the various construction update videos and mean to put links to them here, but I just keep forgetting. I'm sad that this thread isn't what it used to be - especially in the days of construction for DCA 2.0. Of course, back then we could easily see a lot more of the construction going on. At this point with SWGE construction, most of what we can see is just rooftops and the top of rock work. It's still fun to get the drips and drabs of information that are to be had. I am happy to see that they have the X-wing installed and they are installing the TIE fighter. Mark really is good at doing the connections between the model and what's actually being built. Also, his transitions between previous and current shots of exactly the same location really help give a strong sense of what's changed. Here is a new construction update video from ShesInLosAngeles. A very different style than Yensid55, but still quite enjoyable. I wonder why they seem to be adding more wire mesh for rock work, next to the RotR building and on top of back side rock work that already seems to be nearly complete. Is it for more of a barrier to block all of the street noise - and there is a lot of it in that area near the entrance to the M&F parking structure - from getting into SWGE? And here is an update on a little more construction going on at Disneyland and DCA, which it seems that FreshBakedDisney are the only ones to cover. The Astro Orbiter has been all but completely MIA for a few weeks. While I know better, some part of me likes to imagine that it's a sign that they will relocate it or, at least, streamline the bulky abutment around it. 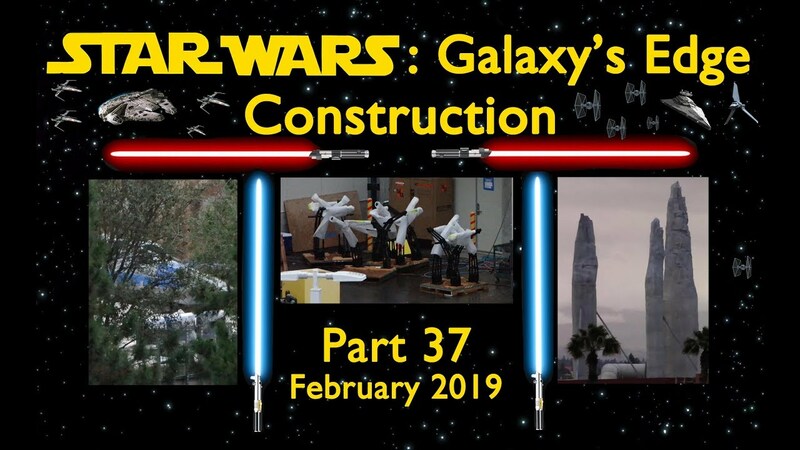 A new installment from Yensid 55 updating the SWGE construction progress for the first part of March 2019. They're wrapping things up..with only a little more than 2 months to go until opening, it's looking good. 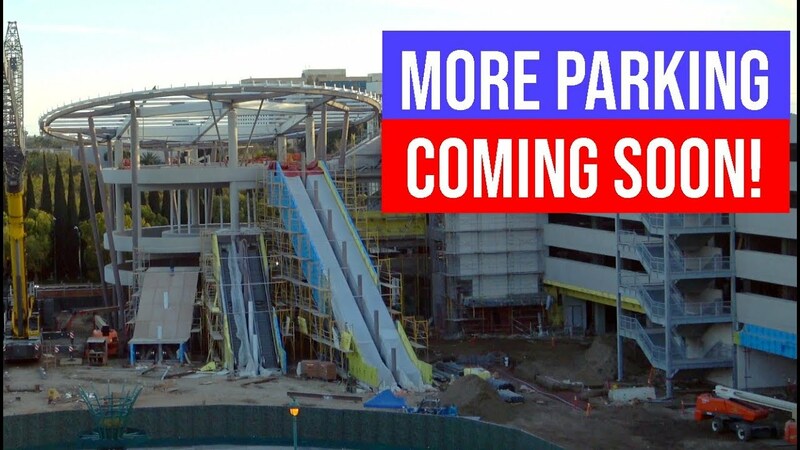 Here is a new video from FBD, showing the progress of the Cleo parking structure, the Inside Out Emotional Whirlwind attraction and the former Bugs Land, along with a few other little details from both Disneyland and DCA. It looks like the parking structure is coming along nicely. It's not supposed to be open, yet, when SWGE opens, but it sure looks to be open some time in the not-too-distant future. More great overhead views of Star Wars Galaxy's Edge, provided by ShesInLosAngeles. It looks like there is still quite a bit left to do, including pouring concrete for some of the exterior areas. A new video from Yensid' 55 covering the SWGE constriction for the rest of March 2019. Mark uses areal photos of SWGE to locate different spacecraft and possible cue routes for the Rise of the Resistance attraction. He also uses cutaway images of the Millennium Falcon to explore cue options for that attraction as well. They show us a lot of new detail which just adds to the excitement of seeing it for real very soon. 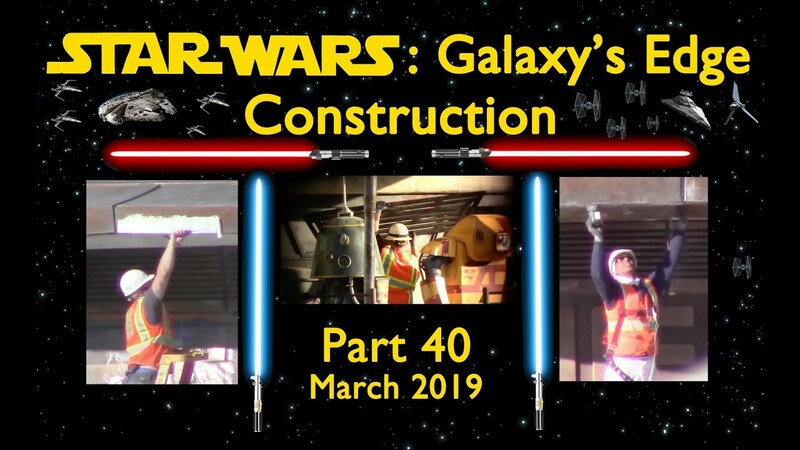 This video covers the construction of Galaxy's Edge at Disneyland during March 2019. Great attention to detail and elaboration on what's visible, as always.